A major part of a startup CTOs role is to discover and to apply new technologies to their organization so as to maintain an edge. Blockchain technology is making waves across many industries in often disruptive ways. It’s important to get to terms with what blockchain technology is, see how it relates to your industry and to then see if a software development company can help you create new business models from this new array of technologies and shape it into something amazing. It is a blockchain fundamental to think in terms of networks and business connections – you have to take a look at how businesses interact. The power of blockchain is only apparent when it is set up to enable collaboration over a network. It is through collaboration that the blockchain achieves more than any one party could achieve individually. In turn, the collective power of the network is what empowers each of the individual players of the network. It can be seen as a social construct in terms of how businesses interact that is powered by a fundamentally new technology. There is no better way to establish a foundational understanding of this technology than to study the original blockchain itself – Bitcoin. It is an open source project so you can have a good look under the hood. Although, the white paper itself is may not seem very accessible to non-technical readers, it is still a must read as it lays out the many moving parts that make up the blockchain. Beyond that, there is a myriad of open resources and online research and resources for all technical levels. The currency aspect of Bitcoin is the first application of blockchain technology, but that is only the beginning as thousands of applications have already spawned from there. Another blockchain – Ethereum – brought about the concept of ‘smart contracts’ which are programmatically coded to run on a blockchain. These are programs that, once deployed, execute the logic of the contract to its completion and achieve finality autonomously – that is – without any further human intervention in the process. Smart contracts are mainly used to trade a new class of ‘digital assets’. These digital assets can be represented as tokens and can be involved in venture capital fundraising, loyalty programs and can even be used to build an app and fuel interactions between connected devices known as the Internet of Things (IoT). The key points to take away from these early blockchains are that their properties lend themselves to be permissionless public networks. Anyone can interact with these public blockchains throughout any level, using varying levels of anonymity. As a startup CTO, and having grounded yourself in a peripheral understanding of these open networks, you will soon realize that many of these open applications and networks do not lend themselves to established business practices. To make blockchain friendly to businesses, you need to see which attributes can be adjusted to work in your favor. Blockchains do not need to remain public to remain open to the intended participants. Private blockchains can provide use case specific attributes. Bitcoin is an open and permissionless blockchain which lends itself to anonymity. Private and permissionless blockchains can be designed for known players. Businesses often need to move assets along a supply chain where all the participants benefit from knowing all the other participants in the chain. When all the players on the network are known and omnipresent on the network they can be accountable to each other. This is known as a permissioned blockchain where access to the network is granted to the known players. Permissioned blockchains can still benefit from the key attributes of the more open blockchains while not needing to maintain their open infrastructure. For instance, permissioned blockchains do not need to have any mining, which is the process that secures the transactions against external attacks to the network. In fact, with a private blockchain, you don’t even need a cryptocurrency and there is no need to provide an incentivization mechanism for the security of the system. When the members of a system are known to each other, you can use common business and computing algorithms for the decision making processes and achieve network-wide consensus. Instead of trust being anchored to the mining process, it can be anchored to the players of the network. You can even assign different levels of decision making power to different players on the network and use simple business logic algorithms to ensure that no individual or small group of players can overpower the network. This process can assure the timeliness and finality of transactions that occur over the network. Having done away with the need for mining, you can establish control over some of the other aspects that are important to your network like transaction throughput, network minimum requirements and scaling. Having rooted yourself in understanding open blockchains, and then becoming aware of the possibilities that open up with private and permissioned blockchain, you can start brainstorming ideas with your team on how blockchain can apply to your particular industry. As you settle on certain ideas and having established that a blockchain would be of benefit to all network participants you will want to come up with a viable proof of concept (POC). Setting up a blockchain from scratch and making all its components work together can be an arduous task, especially when you are still at the proof of concept stage. The good news is that there are plenty of service providers that offer blockchains as a service along with the required applications and networking capabilities. This is particularly useful when you are in the testing phase as you can test your POCs out in a controlled environment without needing to set up any initial infrastructure. Known technology stalwarts such as IBM, Microsoft, and Amazon, among others, all have their own offerings alongside an endless array of startups that are competing for specialized services. Some of them even offer free testing environments to get you used to working with their applications and solutions. Startup CTOs have no reason to shy away from blockchains and every reason to embrace these new technologies. If your industry could benefit from blockchain, then your company can emerge as a major player. Technology giants are offering blockchain as a service where you get to test and deploy your ideas in real-time, and only use the resources you need. 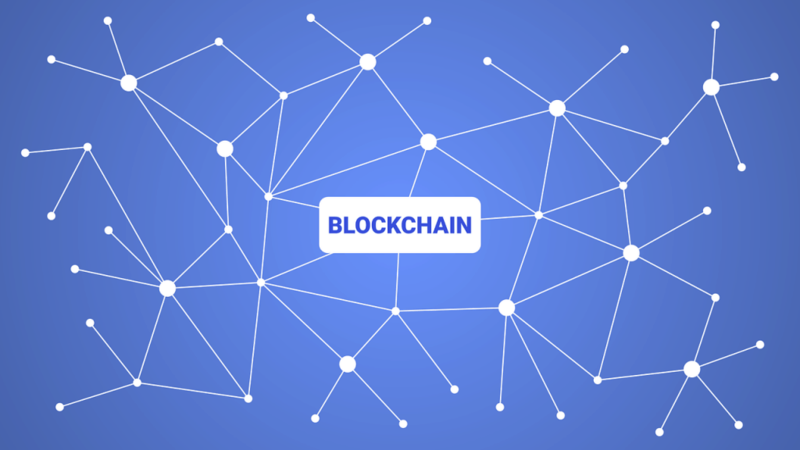 Considering blockchain solutions for your industry could turn out to be a defining moment in your business and role.